Investigators look over the wreckage of a Royal Air cargo jet that crashed into the banks of the Des Plaines River in a forest preserve near Wheeling, Ill. Jan. 5. 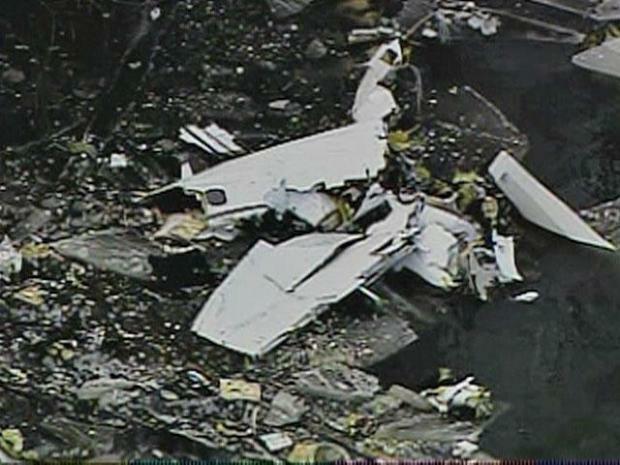 The plane went down as it approached Chicago Executive airport. 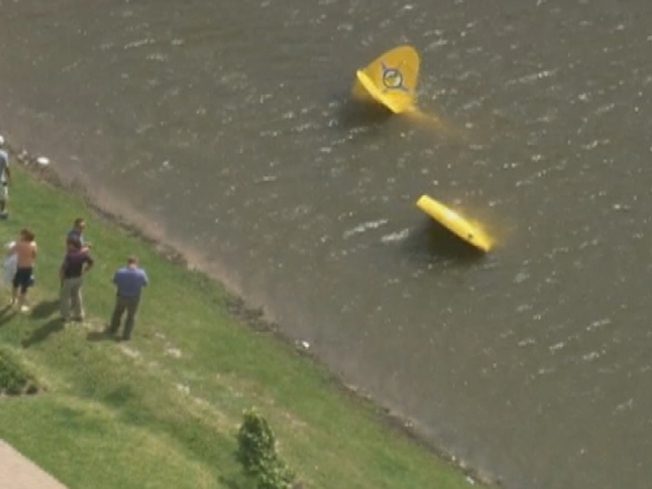 The pilot and co-pilot of a cargo jet that crashed into the Des Plaines River during a final approach to Chicago Executive Airport in Wheeling on Tuesday have been identified. Pilot Stephen Ellis of Pontiac, Mich. was identified using identification cards in his possession and fingerprint records, officials said. He was born in 1971, which would have made him 38 or 39 years old at the time of his death. Co-pilot Ryan Daenzer of Osceola County, Mich., was born in 1969 and was identified using fingerprint analysis, Cook County Forest Preserve Police revealed Thursday. The men were the only occupants of the plane and were pulled from the cockpit Wednesday. Most of the wreckage of the plane has been removed from the water. Officials hope to remove the remaining portion of the plane -- about 25 percent -- from the Des Plaines River Thursday evening or Friday. According to the Federal Aviation Administration, the Learjet was cleared for landing and was making an approach to Runway 34 at the airport about 1:30 p.m. Tuesday when it went down about a quarter-mile north of Euclid Avenue. The cause of the crash has not yet been determined. The plane wasn't equipped with a flight data recorder but did have a cockpit voice recorder. It has not yet been recovered, officials said.